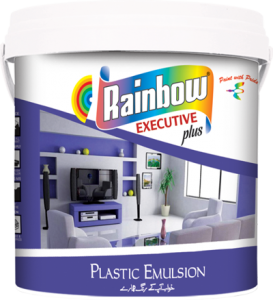 Rainbow Special Discovery Plastic Emulsion Paints are high value product formulated to paint the new mordern trend of architecture. These Products are in the dark shades and are well suited for walls in combination with the Rainbow Plastic Emulsion Soft Shades. 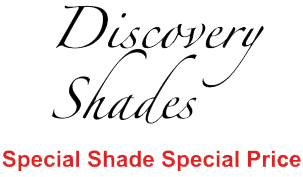 Rainbow Paints Industries through its innovative technology, Highly qualified & exprienced staff and immence research have found a new range of shades called 'The Discovery Shades', Which is the economical & premium version of the expensive Dark Shades at affortable prices. These Dark Discovery Shades are specially fomulated for masonry work, Bricks and cemet renderings can also be applied on hardboard used for partition which need glamorous look. Sand down the plaster with Emery stone or emery paper in case of wooden surface and apply one coat of Rainbow Perfecton Wall Primer Sealer or Rainbow Water Base Primer. Then for a smooth surface Prepare the surface by applying 2 coats of Rainbow Wall Putty prepared with Rainbow Perfecton Wall Primer Sealer or Rainbow Water Base Primer. 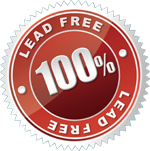 As new plastered surfaces are highly alkaline a coat of Rainbow Perfecton Wall Primer Sealer is recommended for better alkali resistance. Then apply 2 to 3 coats of Rainbow Special Discovery Plastic Emulsion Paint. Remove all dust, Dirt and loose adhering or flaked paints by scarping with scraper(wall) or Emery Paper(for wooden substance). After scarping apply one coat of Rainbow Perfecton Wall Primer Sealer or Rainbow Water Base Primer. Then apply secong coat of Sealer which is followed by the Filling, For which Rainbow Wall Putty can be used, So the surface smoothen. After the surface has been properly prepared apply Rainbow Special Dicovery Plastic Emulsion Paint. Colour Range: As per Rainbow Discovery Shade Card Covering Capacity: Approximately 14-16 sq.m/ltr/coat. Application: The paint can be applied by Brush, Roller and Spray- by thinning with equal volume of water for better adhesion and penetration, first coat should be thinned slightly more than normal. For this type of paint, the use of roller is recommended. Drying Time: Rainbow Special Discovery Plastic Emulsion dries with ½ hours to a smooth finish, Allow to dry ½ hours before recoating under humid condition the drying time could be retarded and hence would require a long time to dry.So we recomend that you Recoat it after 2 hours. Gloss: Matt with silky finish. Packing: 0.91 Ltrs, 3.64 Ltrs.